If you want to work safely and efficiently without annoying delays, your tools need to be well organised. The best way to do that is via a quality tool box. There’s a wide range of products available of course. 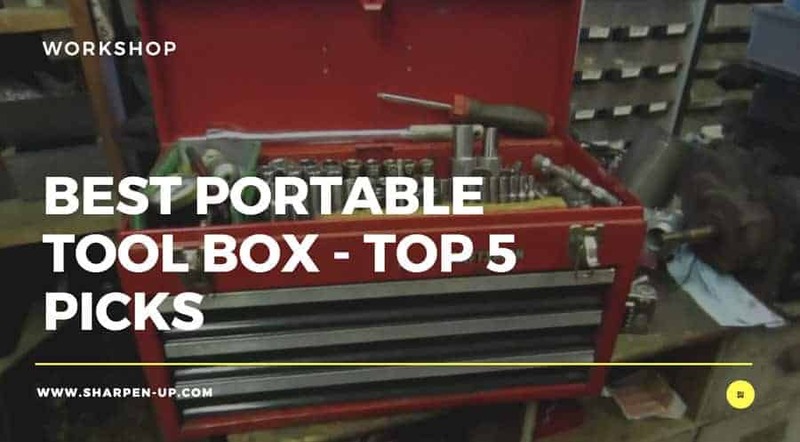 In this article we are going to look at 5 of the best portable tool boxes you can buy. These are ideal for those that need tools on the move and wish to carry the most used items with ease. We will also look at the larger, rolling tool chests. These are designed for the garage or workshop and again come in varying styles and sizes. 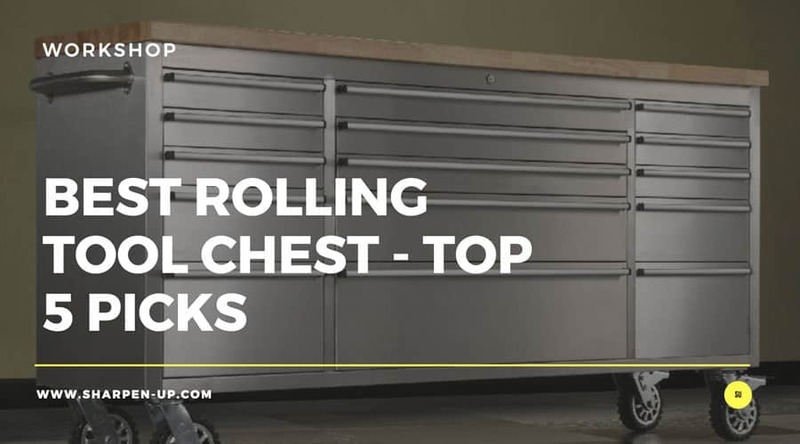 We have reviewed 5 of the best rolling tool chests so you know exactly what to buy. 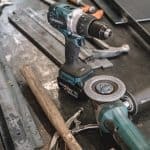 Before we dive into the reviews of our selected tool box, we will take a brief look at the different types of portable tool storage systems available. 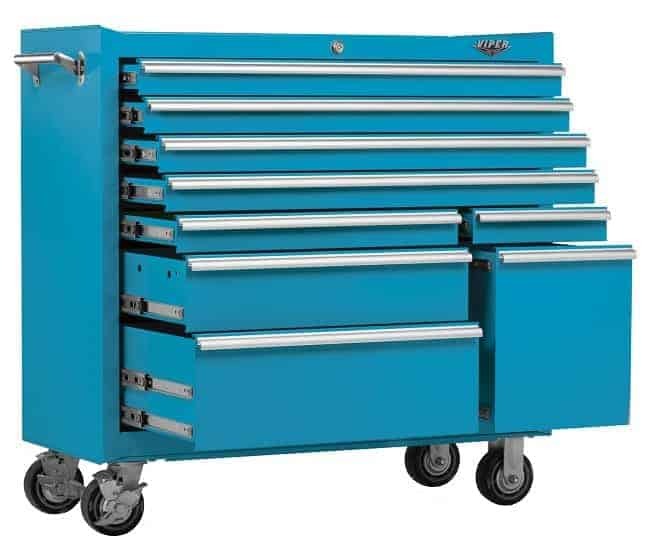 The rolling tool box or cabinet is the largest kind of ‘portable tool box’ (i.e they are manoeuvrable on wheels), however these are still be designed to be in one location, namely your garage or workshop. 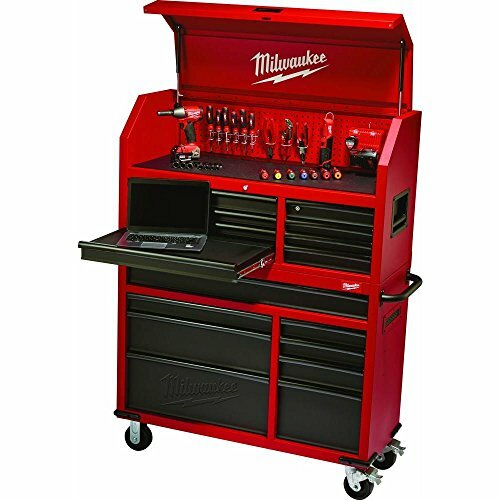 Portable tool boxes on wheels are typically big and heavy and provide adequate storage space to contain wrenches, hammers, extensions as well as smaller components via segmented drawer trays. 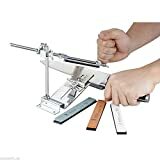 For tradesman that need to take their tools from job to job, or if you are doing some home DIY and wish to carry your tools around the house, a much smaller solution is required. Here a simple, well made tool box is what you need. 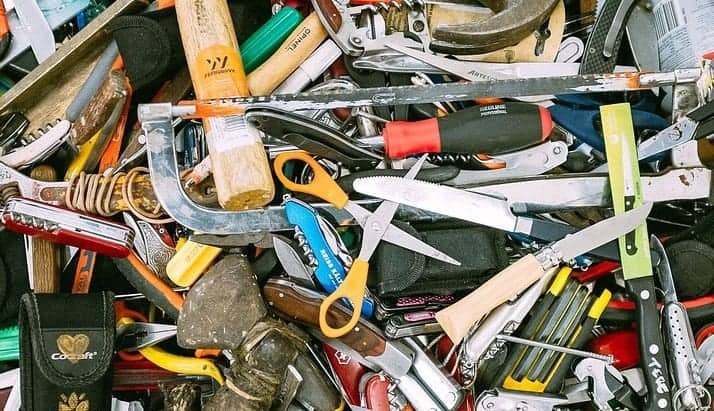 Portability is the main reason to own a small tool box. They enable you to carry the most essential tools with you. 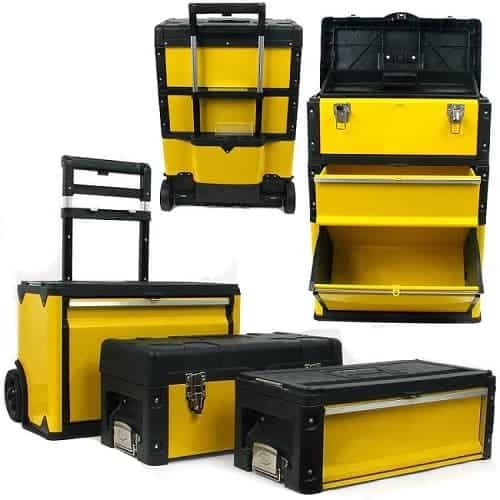 The best portable tool box will also help prevent corrosion, tarnishing, and other forms of damage to what can very often be expensive tools to replace. Organisation is another key factor. 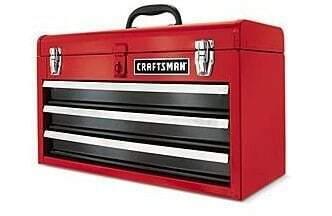 A good tool box will have open and shut compartments and containers so that nuts, bolts and screws can be safely stored. Some portable tool boxes will also snap together in sections. 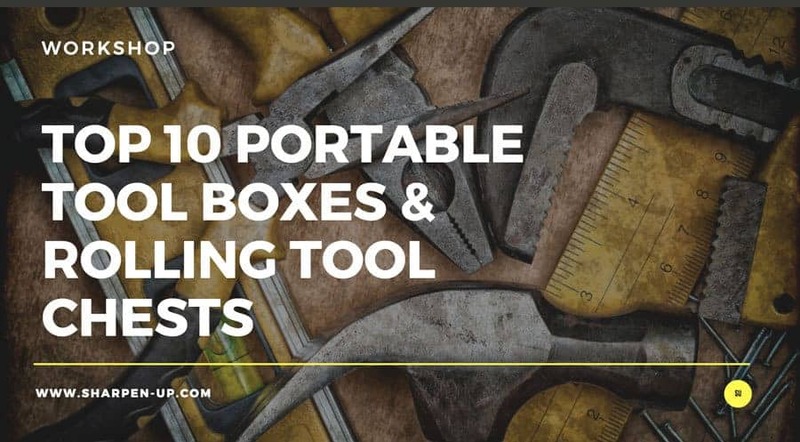 This means all your tools can be in one place with the larger configuration, and then when you need certain tools out on location, the smaller top-box can be separated and take with you. 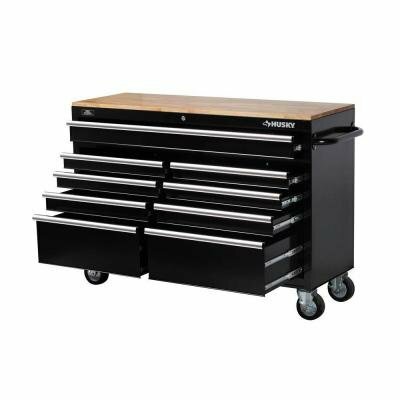 The best rolling tool chests come into their own through sheer robustness and storage space. Some designs have over 10 drawers within the cabinet. A well organised rolling tool chest is capable of housing nearly every hand-tool that you could ever need. This is what makes such a chest ideal for the garage or workshop. A well built rolling tool cabinet will also last you many years. They are designed to taking a beating so to speak. 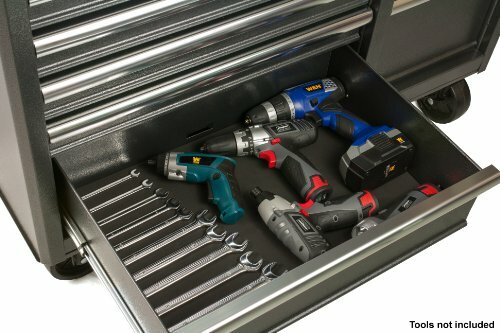 For those that have a lot of tool and need them safely stored in one location, the rolling tool chest is a huge benefit. There a huge number of cheap to buy small tool portable tool boxes available. The main issue with these is build quality. Tools are heavy and sometimes sharp. Your box needs to be up to the task of storing these items with out being damaged. A lightweight plastic option just doesn’t cut it. The components used are also a factor. Cheap hinges or plastic clasps holding drawers and compartments in place are prone to breaking. Read the specifications when looking to buy your tool box. Steel toolboxes that are merely plated to resist corrosion, can end up rusting very quickly once the outer layer is dented or scratched. Plastic boxes may split or crack, (they can also become brittle when exposed to temperature drops in cold weather). Much like the durability and build quality point above; the materials used need to be as high a quality as possible. In many ways this comes down to your budget. A lower priced tool box is unlikely to be built with the level of quality materials when measured against a more premium option. 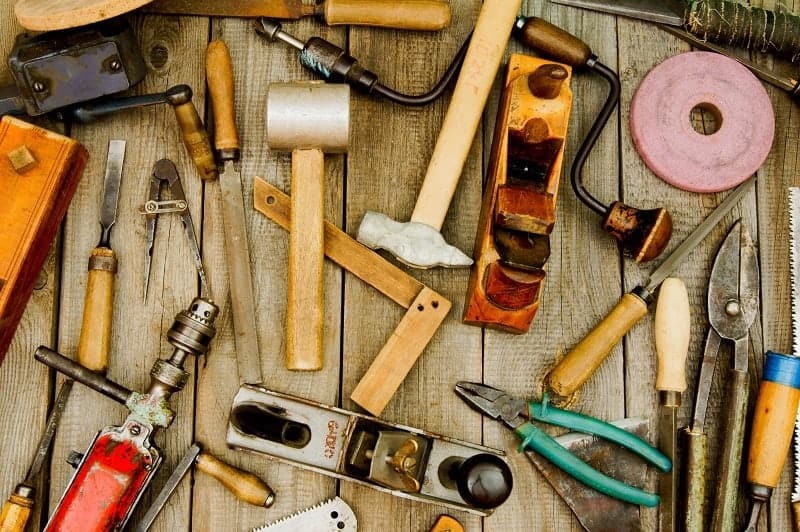 Your tool box should be easy to use and access. Toolboxes with basic plastic latches should be avoided. Once these break you will be holding your box closed with bungee cords and elastic bands, efficiency flies out of the window. 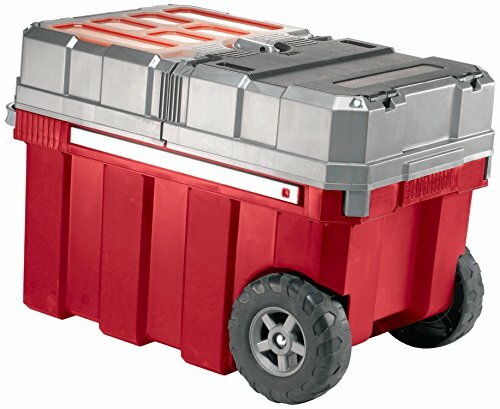 On a rolling tool box how durable are the wheels and breaks? Again these need to be smooth, reliable, and easy enough to operate. It is important that your chosen box does not give you undue frustration. 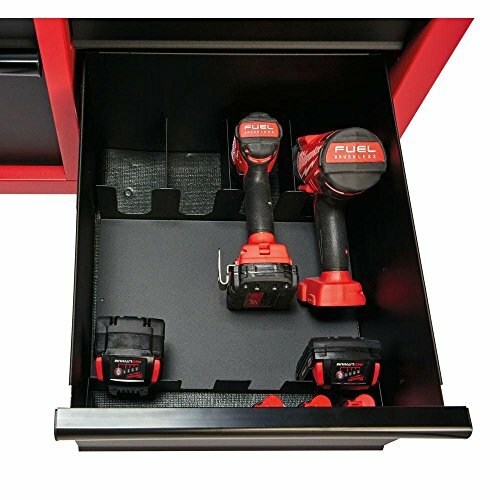 The best portable tool boxes or rolling tool chests will feature lock up compartments so that your tools are kept extra secure against thieving hands. Some portable tool boxes will be built into sections so that a smaller box can be separated from the main kit. 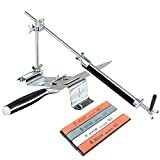 This gives you the most essential tools in one easy to carry package. 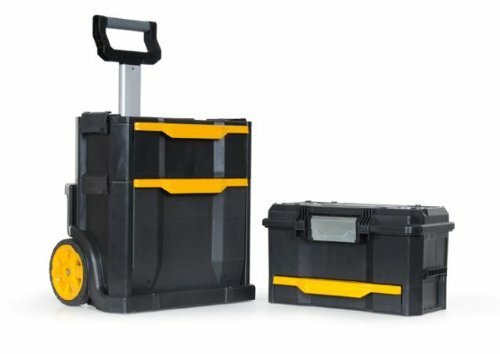 Other features on rolling tool boxes include the ability to clip and connect work lights to the unit, easy replace components should parts become worn, and interchangeable sections to increase storage space as you need. 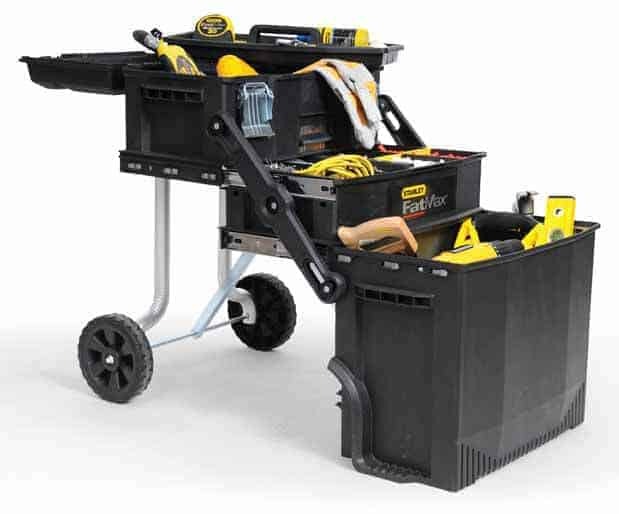 The Stanley 020800R FatMax Four-in-One Mobile Work Station is our top pick portable tool box because it provides extremely effective storage for those that need their tools on the move. Specifically designed for professionals that need their tools organised and easily transportable from job to job, the unit clearly lends itself to home users too. 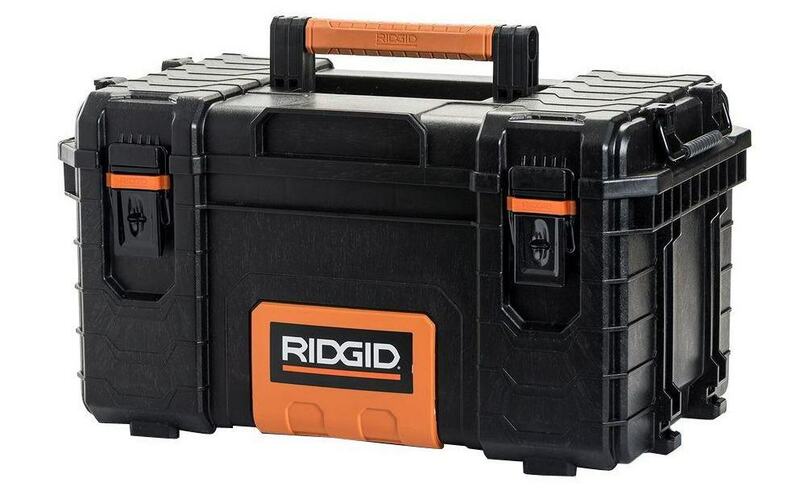 If you want all your tools in one place while stored in a way that is easy manoeuvre, this is the box to buy. 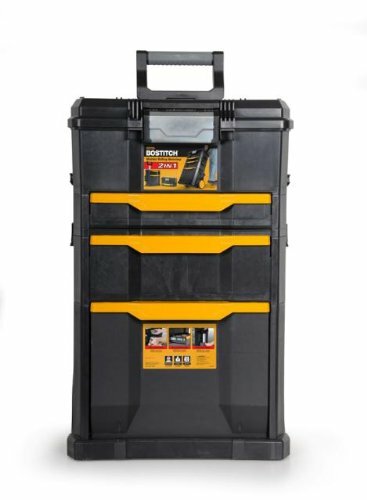 The Stanley 020800R FatMax 4-in1 is a cantilever-style multilevel tool box that contains a top box, tray, organizer, and a bottom bin for your larger tools. The organizer section has removable dividers can be arranged in accordance with the user’s needs. 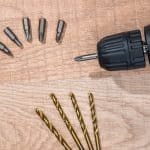 This versatility allows for small parts and components as well as your hand tools, screwdrivers and other items to be safely stored ready for use. 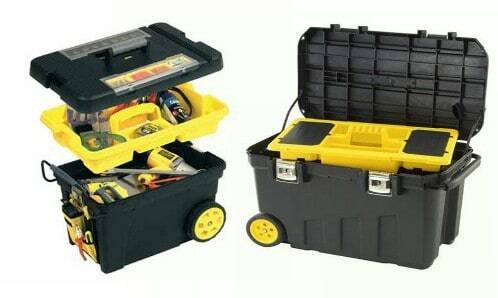 Some real thought has gone into this portable tool box from Stanley. The ‘Work Station’ aspect of the box means that you can actually use the Fat Max as portable work table. The top lid features a V-groove track. Once fixed into position, the box is stable enough to help secure lumber, pipe, and other materials. While on the job, you have a convenient solution for sawing and cutting. Portability is obviously a defining factor here. As we mentioned in the buyer’s guide above, design features such as ease of use and durable fastening are important. Here Stanley do not disappoint. A simple pull-up motion of the front latch opens up the unit so that the user has full access to the tools inside. When you are finished, you need only push a large front latch to lock everything away. There are some minor downsides to all of this however. While the box may be designed for working professionals, some users have found it not up the task of heavy duty on site conditions. The unit does take up a lot of space when open, and requires a flat even ground. Clearly this is not always possible while out on a job. 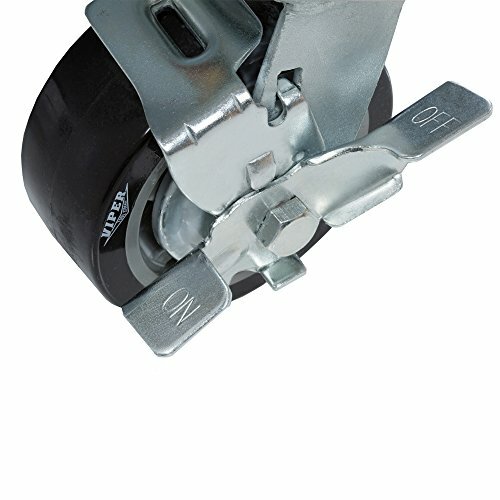 The wheels are also not really durable for construction site work. Tiered (patented) cantilever multi-level rolling system. Those that need a box for tough working conditions may find the box unsuitable. The wheel/dolly system is not all terrain by any means. 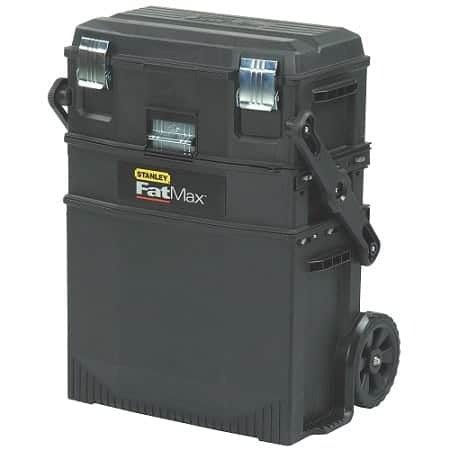 Overall the Stanley Fat Max is an extremely useful portable tool box. Easy to manoeuvre with excellent storage options over 4 tiers, for the majority of uses the box will prove ideal. However, if you are a professional working in tougher environments the system will fall short; which is a factor to keep in mind before you buy. 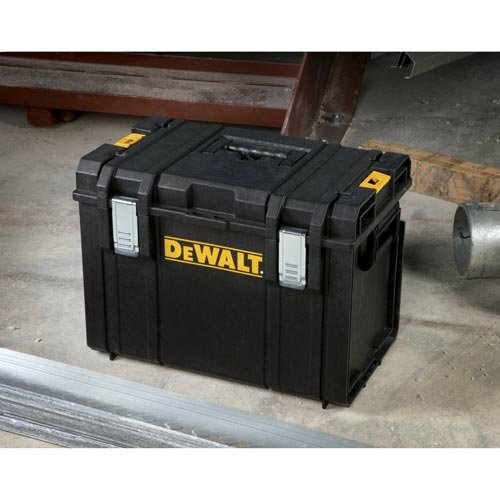 In light of the fact our top pick Stanley doesn’t quite cut it as a portable tool box in heavy duty work environments, we will now turn to another tool box from Dewalt that measures up in this department. 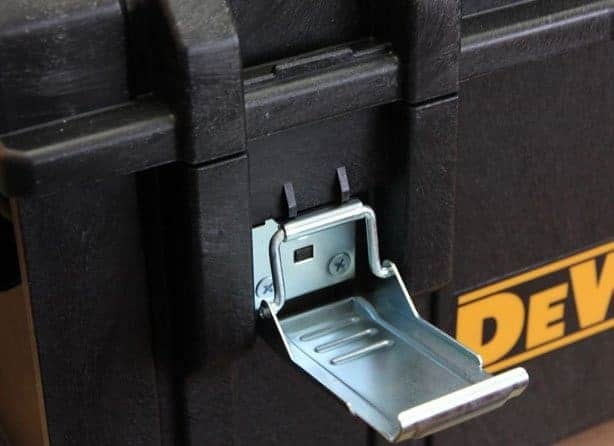 Aptly named the DEWALT DWST08204 Tough System Case, this is a box that is designed to take a beating. First of all, there is no multi tiered system here. Or wheels for that matter. 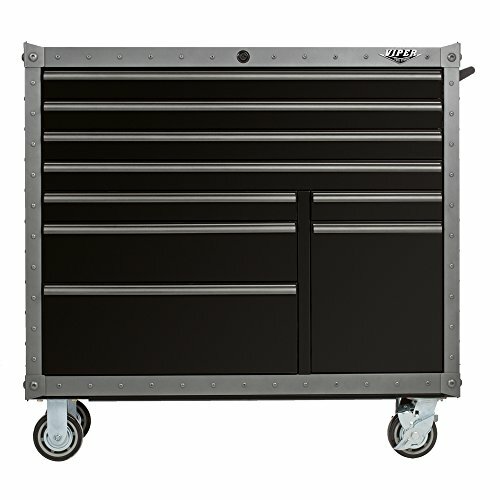 This is a pick up and go style tool box with a weight capacity of up to 110 lb. Robust, durable design is the priority. Dewalt are no idiots when it comes to building products that last. Take this with you where ever you need your tools, and know that everything is safely stored. The Tough System case features durable structural foam walls and an IP65 rated integrated water seal. Working outside is not a problem with this storage solution, your tools will remain dry and protected. Even the fastening metal latches are rust resistant. Inside the box you have a vertical storage for larger tools. There is also a removable tray for other items. One of the real benefits of the Dewalt is that you can build your storage as your needs develop. There is a whole range of ToughSystem units. The DWST08204 can be attached to the trolley using the adjustable brackets or stacked with other ToughSystem units using the side latches. IP65 Integrated water seal for protection of tools. Overall the DWST08204 Tough System Case is a great option for professionals that require, simple, robust and waterproof protection for their tools while out in the work place. Highly recommended. The next entry into our top 5 best portable tool box review round up, is the affordable portable sliding plastic tool box from Keter. 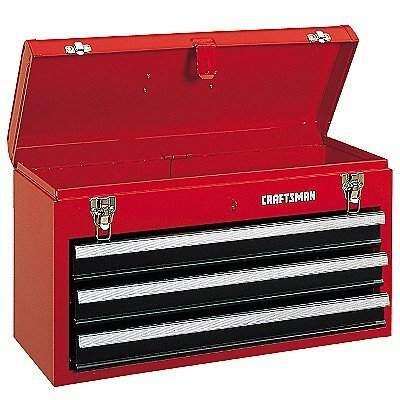 This is a great home / tradesman tool box solution that provides ample space in which to store hand tools and other items. The interior is organized with a tool divider so that the inside of the box is easily separated into compartments. 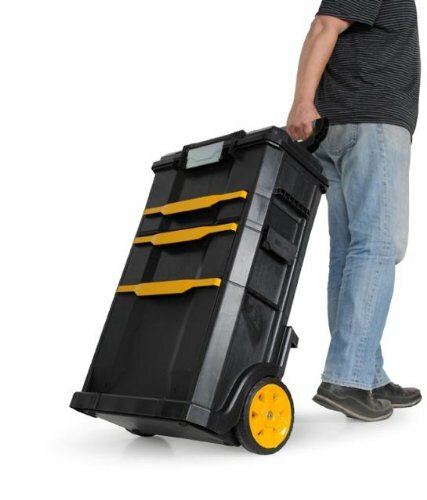 The topmost storage bins can be used to safely house your most used tools. This area can then be slid apart on ball-bearing sliders to reveal the main bin underneath. This larger bottom bin can be used to store your heavy duty, more infrequently used tools. Keter have fitted the box with comfortable handles for efficient portability. This priority is also evident in the wheels. These are positioned for increased manoeuvrability and feature deep-tread rubber tires for better traction. To ensure security while in transit a central locking mechanism is also in place. While maybe not up to all work place conditions, the keter portable tool box will still appeal to plumbers, electricians and other tradesman, and is definitely a good choice for the home user. There’s no real frills here, but as an affordable tool storage solution it comes recommended. 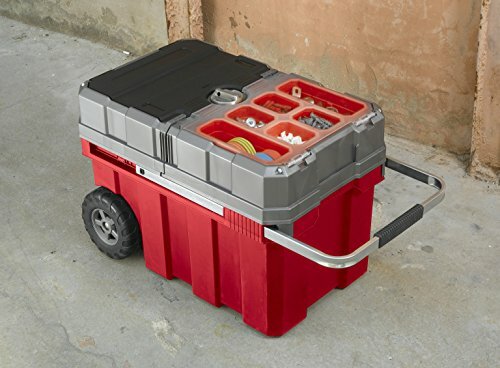 The BOSTITCH BTST19802 Rolling Tool Box is another option for home users that want to keep tools in one place but have the ability to easily transport them elsewhere. The box can be separated out into two parts. 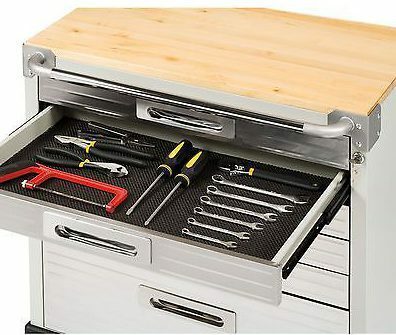 First there is the bottom bin with large drawer that is designed to house your larger tools. There is also a top tool box. Both storage solutions utilise ball bearing slide drawers for easy access and can be used as stand alone boxes. 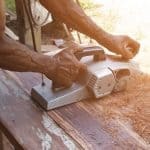 It is quite possible to store drills and saws as well as other smaller hand tools. Some Amazon customers have left reviews stating that they use the box to transport their hair dressing equipment, others for audio recording gear. This does increase the scope of the box beyond that of standard tool carrying. Like all good storage systems, the Bostitch contains several trays so that smaller, more intricate items can be safely stored ready for use. 7 inch rubber wheels make pulling the rolling tool box around simple enough. However, like the Stanley the box doesn’t seem to be robust enough for extended daily use in tough working environments. That being said, with a load capacity of 70 pounds and storage capacity of 10 gallons there is more than enough space for hand tools and other items. 2 part system – Bottom bin and top compartment that can be used independently if required. The Bostitch BTST19802 Rolling Tool Box is a great option for those needing convenient tool storage space with the requirement of the box being built like a tank. The Bostitch is a sturdy tool box however in our opinion it is better suited to home or light trade use. 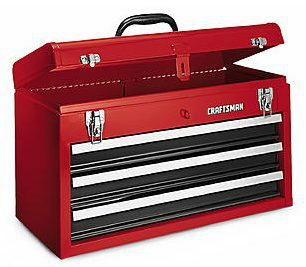 The final portable tool box to make our top 5 list is a robust metal chest from Craftsman. The manufacturers of opted for a standard top handle design here with no wheels. You simply pick up and go. 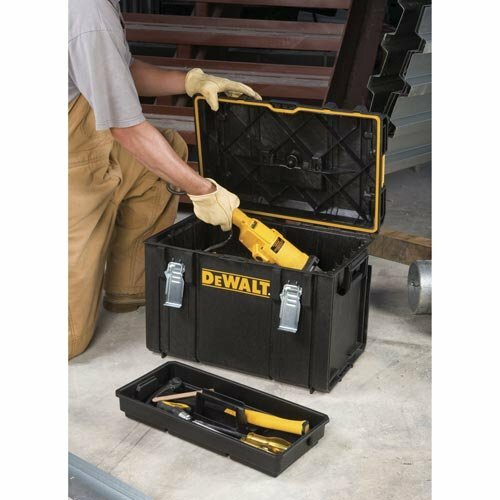 Like the Dewalt reviewed above, this is a tool box that is built to last. 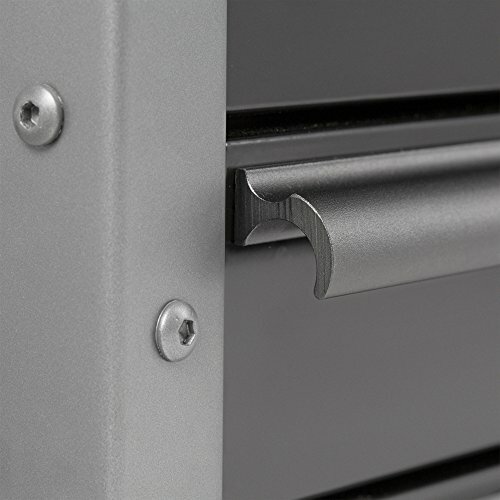 It features a robust metal construction, with a heavy duty draw bolt fastening system to keep everything secure. The cover hinge is sturdy enough to keep the lid and drawers open for easy tool access. The compartments automatically close and lock when the lid is fastened shut. The full-extension compound-action drawer provides a very smooth action, sliding open and closing again even when the compartments are packed full with heavy tools. In short, this is a tool box with the professional tradesman in mind. Full to capacity it may be rather heavy to lug around, (and remember you won’t be pulling this box on wheels), however to have your main tools in one place ready to lift from the back of the van to the job site is a real benefit. Ideal for the professional tradesman that needs his tools ready to go. Depending on the tools you have inside, this box can get heavy. A robust yet affordable metal tool box with some nice features. Good storage space and the pick up and go handle makes this a great choice for the busy tradesman. A highly recommended portable tool box. 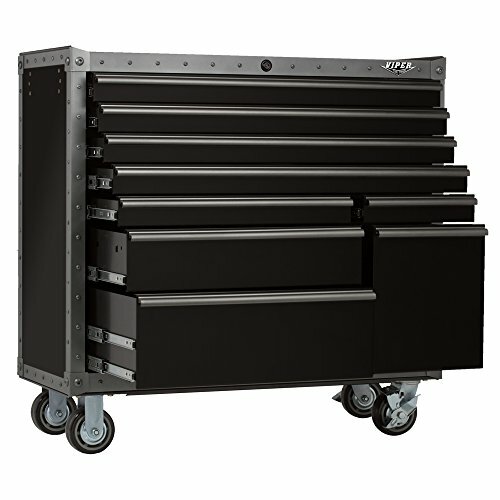 The Viper Tool Storage Armor Series is a beast of a line of rolling tool cabinets. 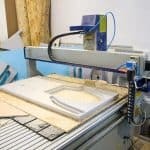 They are a manufacturer that know the demands of the professional workshop and build products up to the task. 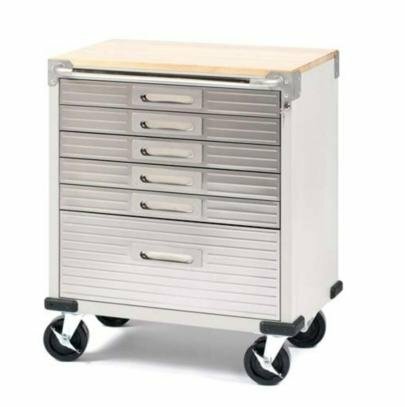 We have chosen the 41 inch, 9 drawer rolling tool chest because it bridges the gap between the needs of the home workshop and professional environments better than any other system we have come across. One of the great aspects of the design is the versatility. There is plenty of space within the 9 drawers to organize tools no matter the size or type. There’s no danger of the drawers buckling under the weight either. Each one is rated for 100 pounds (and that’s while fully extended). Ball bearing slides provide and smooth and consistent drawer action; they also feature corrosion resistant extruded aluminum drawer pulls and pre-cut drawer liners. In fact the build quality goes far beyond the reliability and robustness of the drawer system. 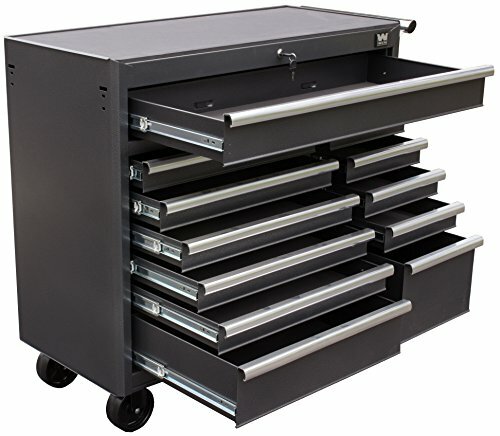 Viper are well known for the quality of their rolling tool cabinets. 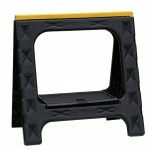 The solid construction here utilises a sturdy 18 gauge steel frame, with powdercoated finish designed to resist scratches than traditional paint. Another plus point stems from the fact Viper piece together the cabinet before it arrives. No assembly is required on the part of the customer, except for installing the casters and side handle. And while you will not be transporting a cabinet like this from job site to jobsite, the four rugged 5 x 2-inch Polyurethane casters (two swivel and 2 locking) make rolling the chest around the workshop a breeze. Side-mounted tubular handles also aid manoeuvrability. Finally, for added security there is the tubular key cam locking system. Just one lock prevents all the drawers from being pried open. 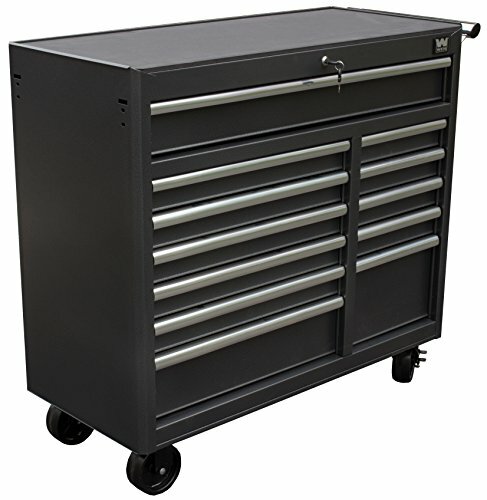 Overall the Viper Armor Series 41 inch rolling tool chest is a well built and designed workshop cabinet. Everything works very smoothly indeed and you will be able to roll your tools right up to where you need them. Whether you’re a professional looking for a storage system for your workshop, or a home user needing an efficient way to store your tools in the garage – the viper will fit the bill. Highly recommended. 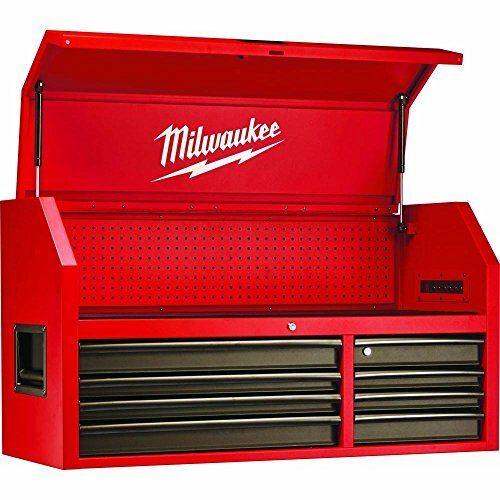 The Milwaukee 46 inch rolling steel tool chest with 16 drawers is clearly larger than the Viper, and is best suited to the working professional. The Milwaukee name needs no introduction. Their design ethos is clear and present in this heavy duty storage system. Loaded with features and extras this is a cabinet that will appeal to many. 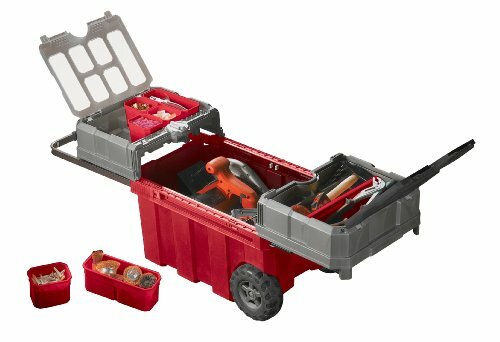 The top compartment is designed to house your power tools. It offers 10.5 inches of height clearance which is a real bonus. There is also an integrated pegboard wall inside this area, which is a great design addition and provides the user with convenient vertical storage. The solid construction is able to support up to 1,800 lbs. This is on top of the industrial grade polypropylene casters, that are more than up to the task of wheeling your rolling tool chest around the workshop. The Milwaukee also features a reinforced angle-iron base. This sturdy build quality is evident in all the drawers of course. They multi-sized for variation and versatility, (bases are covered). 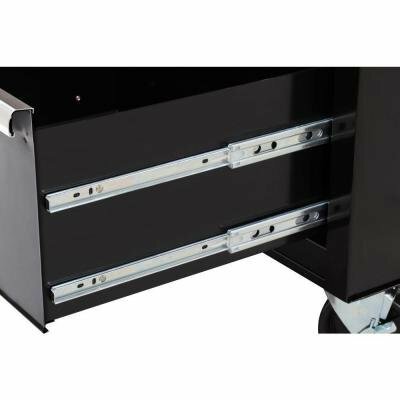 The drawers also include black anodized aluminum pulls and premium liners. The 100 lbs. rated, soft-close drawer slides ensure that there’s no ugly slamming of drawers, (even if you’ve just smacked your thumb with a hammer). They simply slide back into place with a smoothness you’ll want to demonstrate to your mates. The bottom right cabinet drawer includes a removable power tool organizer. There is also a mount on the cabinet’s side wall that enables you to fix your Milwaukee battery charger. This in turn can be conveniently powered via the built-in, 6-outlet power bars in the chest and cabinet. The manufacturers have even included an innovative pullout work surface drawer, (ideal for a laptop should the job require one). Reinforced 6-Gauge angle-iron trolley base frame and chest. Just check out the customer reviews on Amazon. This is a full 5 star product. The price does place it higher than what some home enthusiasts might afford. 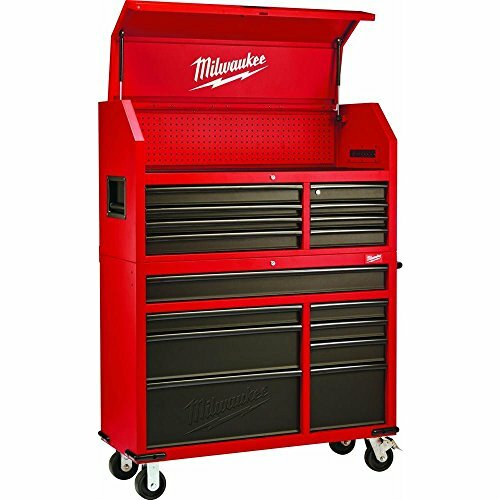 The Milwaukee 46 inch rolling tool box is literally packed with excellent features. From lockable personal storage to the battery charger mounting tap holes, this 16 drawer cabinet really does excel in many areas. The impressive 27,223 cubic inches of storage space makes this a top notch solution for the working professional. The 41 inch rolling tool cabinet from WEN is another storage system that is suited to both home and professional use. The solid, well built construction made from 17 gauge steel makes for a tool that is designed to last. Each of the 12 drawers features 100 lbs. rated ball-bearing slides that are self locking. Tough, protective drawer liners are also in place as standard. Wen have provided a total of 11,130 cubic inches of storage space within this versatile cabinet. Each of the drawers are 18.3 inches deep; some very generous specifications there. 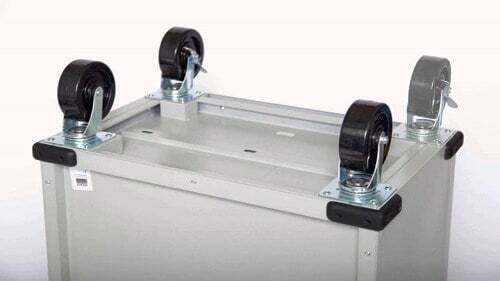 Manoeuvrability around the workshop is made easy via the four, 5 x 2 inch casters. This ease of use is aided by a removable side handle. Like the Milwaukee reviewed above, the WEN is a product where complaints have arisen due to damage in transit. 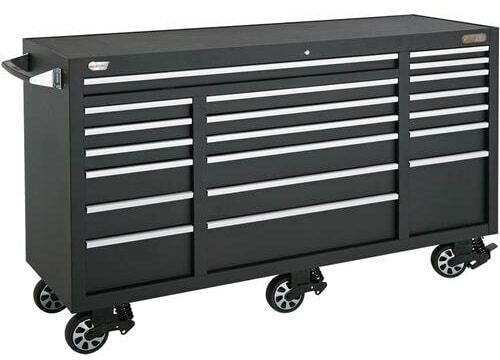 WEN have designed a reliable, sturdy rolling tool chest with this 41 inch, 12 drawer option. While it lacks the features of the Milwaukee this remains a viable option for home workshops and professionals alike. 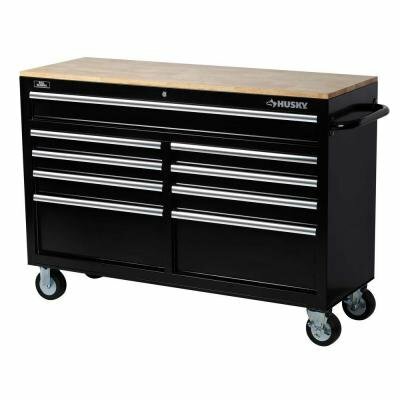 The Seville Classics rolling tool cabinet makes our list because it is an attractive home workshop tool storage solution. The 6 drawer chest is the smallest in our top 5, but it is also the most affordable. And while you do get what you pay for, (clearly design features and overall storage space is inferior when compared to others we have reviewed in this article), the Seville is still a well built tool that will suit many garages. The 6 cushion lined drawers feature stainless steel drawer fronts, (which definitely adds to the overall aesthetic greatly). It’s not all looks over substance however. The solid hard wood top work surface is durable enough to withstand workshop tasks. For easy manoeuvrability the 4 heavy duty 5″ castor wheels (2 locking) will see you pushing the cabinet to where the work dictates. A chrome handle push bar is also included. For the all important security, the cabinet features a one key all-drawer locking system. Overall the Seville Classics is a well designed and attractive storage solution for the home workshop. Recommended for those that do not need excessive space for their tools. The Husky 52 inch 9 drawer rolling tool chest from Husky is our final top 5 entry. However, there is no order by quality here. This mobile work center is another worthy addition. First off there is the solid wood top. Not only does this look great, but it acts as a durable as well as sizable work surface area. The 52 inch width is put into great use with the full-width top drawer. Ample storage space is provided within the drawer that is designed to house longer tools. All of the drawers feature large aluminum pulls that are comfortable and easy to grasp. For larger power tool storage, Husky have incorporated generous sized bottom drawers. These are extra deep and are supported by a double set of 50 lbs. ball bearing slides. For mobility the Husky rolling tool cabinet has the obligatory 5 in. x 2 in. casters. There is also a steel tubular side handle. 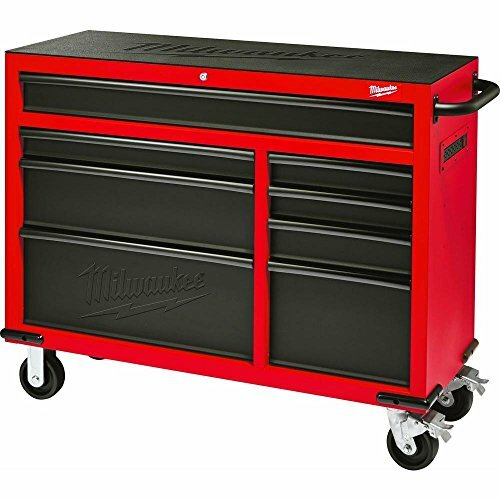 The Husky 52 inch rolling tool chest is another great option. The wide top drawer and table top work surface areas are a real benefit and this could make the Husky the top option for some buyers. Highly recommended.